New Navy promotions and assignments were announced late last week. RADM Gordon Peters will be the new boss of Naval Air Systems Command, reports Inside Defense. 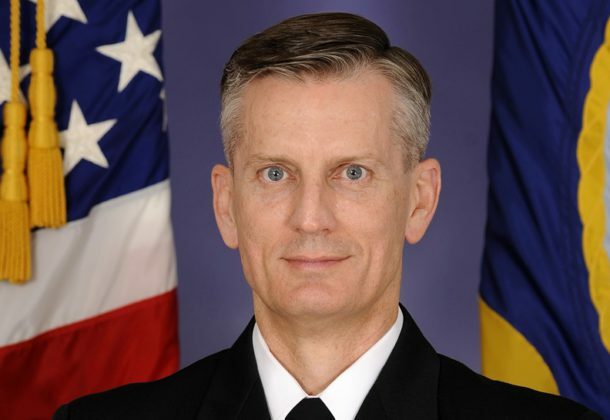 Peters, who will also be promoted to vice admiral, is currently the program executive officer for the air anti-submarine warfare, assault and special mission programs offices. He replaces VADM Paul Grosklags as the top officer at NAVAIR. Also at NAVAIR, RADM Brian Corey will replace RADM Mark Darrah as the program executive officer for unmanned aviation and strike weapons. The Navy announced last summer that 154 scientists, engineers, and researchers with the Chemical Biological Radiological Defense division were being transferred from Naval Support Facility Dahlgren to base in Indian Head, and the local officials have still not been told why the move was made, reports The Fredericksburg Free Lance-Star. They have been told that the relocation will free up space so the Dahlgren facility can add 276 new jobs this year in energy development and cyber-related engineering. The Navy is addressing new policy reforms in the wake of the Fat Leonard fraud and corruption scandal, reports Stars and Stripes. Among the changes will be new layers of oversight in the contracting process for overseas ports. The Marine Corps is moving ahead quickly on equipping its infantry squads with the latest technologies, including small quadcopter drones that will help build their situational awareness on the battlefield, reports USNI News. The USMC’s CH-53K King Stallion helicopter successfully lifted and set down a joint light tactical vehicle, reports Naval Technology. In the exercise, the helicopter hovered up to 100 feet and carried the 18,870-pound vehicle for nearly 10 minutes using a single point hook. Breaking Defense reports Newport News Shipbuilding is reaping “huge savings” on the next Ford-class carrier, the Kennedy, through “creative” use of digital models instead of paper plans, the new head of Navy acquisition said. Chinese companies have set their sights on the Asia-Pacific region as a potential market for their line of armed unmanned aircraft, reports Defense News, with the appearance of two such platforms at the Singapore Airshow for the first time. The GAO has called on the Department of Homeland Security to ensure that its methods to identify, classify, and code cybersecurity job vacancies and responsibilities are complete and timely, reports ExecutiveGov.com. The report said that DHS has not reported to the Office of Personnel Management its critical cybersecurity needs on an annual basis and has not created any plans for reporting such needs with specific time frames. Canada is reviewing the sale of 16 helicopters to the Philippine Air Force after concerns were raised about human rights abuses in the Southeast Asian country, reports Defense News. Military Times conducted an informal poll of its readers asking them what they thought about President Donald Trump’s request for a military parade. An overwhelming number weighed in: Don’t have one, they said. US-issued military equipment, to include as many as nine M1A1 Abrams tanks, fell into the hands of Iranian-backed militias during the turbulent period that swept Iraq as it battled ISIS, reports Military Times. 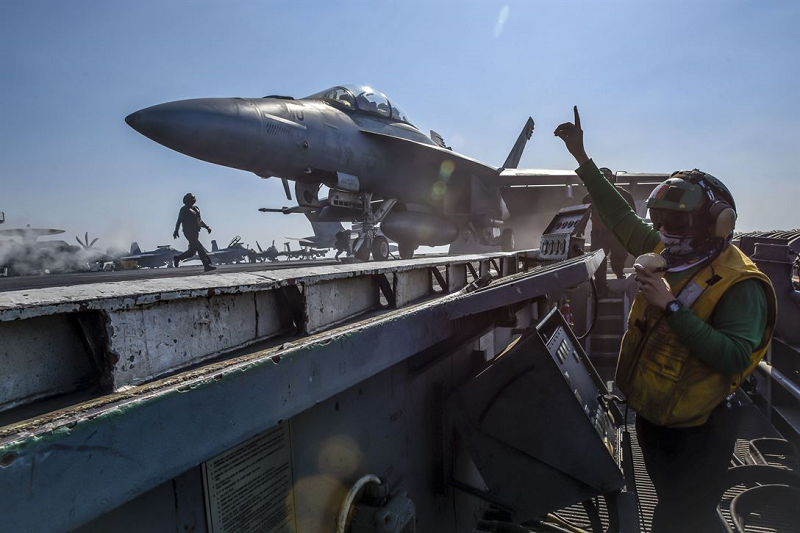 The University of Cincinnati is working with the US military and General Electric to find ways to reduce jet noise, both to keep the peace with airport neighbors and to protect the health of ground crews and service members, reports UC Magazine. AVIAN-Precise Co., Lexington Park, Maryland, is being awarded a $57,399,109 cost-plus-fixed-fee, indefinite-delivery/indefinite-quantity contract for approximately 739,200 hours sustaining engineering, training and tools in support of the Naval Air Systems Command’s Systems Engineering Department (AIR-4.1). Services to be provided include direct systems sustainment engineering support throughout the full life cycle of a weapon system from concept development to disposal to be applied to all naval aircraft (tactical, vertical lift, maritime, unmanned air vehicle, targets and advanced weapons), foreign military sales and support systems. Work will be performed in Patuxent River, Maryland (91 percent); and Jacksonville, Florida (9 percent), and is expected to be completed in April 2023. No funds are being obligated at time of award; funds will be obligated on individual task orders as they are issued. This contract was competitively procured via an electronic request for proposals as a 100 percent small business set-aside; three offers were received. 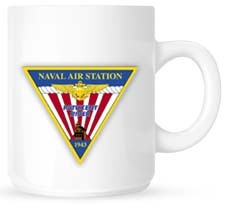 The Naval Air Warfare Center Aircraft Division, Patuxent River, Maryland, is the activity (N00421-18-D-0016). Tekla Research Inc., Dumfries, Virginia, is being awarded a $64,073,829 cost-plus-fixed-fee, indefinite-delivery/indefinite-quantity contract for approximately 835,200 hours of systems specialty engineering and technical services in support of the Naval Air Systems Command’s Systems Engineering Department (AIR-4.1). Systems specialty engineering support to be provided includes an overall technical assessment of cost, schedule, emerging technology and maturity of design for various functional areas, including air/ship integration, systems safety, mass properties, survivability, manufacturing and quality, air platform stores integration, metrology and systems security engineering. Work will be performed in Patuxent River, Maryland, and is expected to be completed in April 2023. No funds are being obligated at time of award; funds will be obligated on individual task orders as they are issued. This contract was competitively procured via an electronic request for proposals as a 100 percent small business set-aside; three offers were received. The Naval Air Warfare Center Aircraft Division, Patuxent River, Maryland, is the activity (N00421-18-D-0015). KPMG LLP, Washington District of Columbia, is being awarded a maximum $57,679,834 fixed-price contract for financial statement audit of the US Army Corps of Engineers (USACE) civil works, and the financial statements for the agencies owning the funds sub-allotted to USACE military programs for fiscal 2018-2022. Work will be performed in Washington District of Columbia, and other locations inside and outside of the US, with an expected completion date of Dec. 31, 2018. The contract has an 11-month base period with four individual one-year option periods. This contract is the result of a competitive acquisition for which three quotes were received. Fiscal 2018 Army Corps of Engineer civil works revolving funds in the amount of $9,782,793 are being obligated at the time of the award. The Defense Finance and Accounting Service, Contract Services Directorate, Columbus, Ohio, is the contracting activity (HQ0423-18-F-0039). Corps Solutions LLC, Stafford, Virginia, is being awarded a $44,429,527 firm-fixed-price, indefinite-delivery/indefinite-quantity contract for the purchase of range control facilities support services. Work will be performed in Quantico, Virginia (29 percent); Camp Pendleton, California (12 percent); Bridgeport, California (12 percent); Townsend Bombing Range, Georgia (9 percent); Okinawa, Japan (8 percent); 29-Palms, California (7 percent); Kaneohe Bay, Hawaii (7 percent); Cherry Point, North Carolina (2 percent); Bellows Air Force Station, Hawaii (2 percent); Parris Island, South Carolina (2 percent); Iwakuni, Japan (2 percent); Guam (2 percent); Yuma, Arizona (2 percent); Puuloa, Hawaii (1 percent); Camp Fuji, Japan (1 percent); Camp Lejeune, North Carolina (1 percent); Miramar, California (1 percent), and is expected to be completed by March 2, 2023. If the six-month option period is exercised, the contract will continue through Sept. 2, 2023. Fiscal 2018 operations and maintenance (Marine Corps) funds in the amount of $6,841,798 will be obligated on the first delivery order and will expire Sept. 30, 2018. This contract was competitively procured as a small business set-aside via the Federal Business Opportunities website, with two offers received. The Marine Corps Systems Command, Quantico, Virginia, is the contracting activity (M67854-18-D-7853). General Dynamics Mission Systems Inc., San Antonio, Texas, has been awarded a $24,521,299 modification P00026 to previously awarded contract HR0011-16-C-0001 for classified information technology services. The modification brings the total cumulative face value of the contract to $76,962,858 from $52,441,559. Work will be performed in Arlington, Virginia, with an expected completion date of February 2019. Fiscal 2018 research and development funds in the amount of $2,465,168 are being obligated at time of award. The Defense Advanced Research Projects Agency, Arlington, Virginia, is the contracting activity. Systems & Technology Research, Woburn, Massachusetts, has been awarded a $12,091,198 contract with an option for the Defense Advanced Research Projects Agency Tactical Exploitation of the Acoustic Channel program. Fiscal 2017 research and development funds in the amount of $567,570; and fiscal 2018 research and development funds in the amount of $1,000,000 are being obligated at the time of award. Work will be performed in Falmouth, Massachusetts (37 percent); Largo, Maryland (9 percent); Columbia City, Indiana (13 percent); and Tempe, Arizona (1 percent), with an estimated completion date of August 2019. The Defense Advanced Research Projects Agency, Arlington, Virginia, is the contracting activity.